I love entering them, I love running them, and I REALLY love judging them. 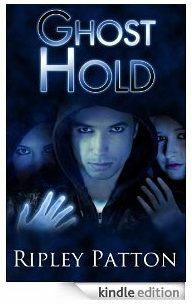 So, as a way of celebrating the upcoming November 2012 release of my YA paranormal thriller, Ghost Hand, I have decided to run a writing contest just for YA-ers. If you READ YA, and LOVE YA, and ARE YA, this contest is FOR YOU. After all, who better to write the experience of being a young adult than young adults themselves? And now’s your chance to prove what you’ve always known: that you can write better YA than most of the adults out there doing it. Plus, you could win a wad of spending money, a signed copy of Ghost Hand, and get your story published in Ghost Hunt, book two of the Ghost Hand series (coming in 2013). For more details on how and when to enter go HERE.